I need a high rock. From where I stand this morning, I see more to do than can be done; more questions than answers; more problems than progress. The news cycle is filled with corruption and heartbreak and horror and all sorts of fuel for dreadful “what if” scenarios. Being on a high rock gives protection. Many historic battles have been won because the victor had the advantage of the high ground. Sometimes God’s protection is nothing more than a respite from the demands and threats of our circumstances so that we can find new strength to return to the battles below. Sometimes God uses our time on the high rock to grow our faith as we watch him fight those battles for us. But being on a high rock also gives perspective. When I focus on the immediacy of what is right in front of me, I’m unable to see the big picture. When my focus is on God, prayer lifts me above my circumstances and allows me a glimpse of more than just the immediate. I may get new perspective on how to handle the battles below, or I may see that God is already fighting for me. I may see the weakness of my enemy or I may see that the battle is just part of a bigger plan. God hears the cries of his children. When we grow fearful and faint and call on him, he will lift us above our circumstances and battles. Sometimes that is to deliver us from them; sometimes that is to empower us to have victory in them. Either way, our prayers for the “high rock” take us into his presence. 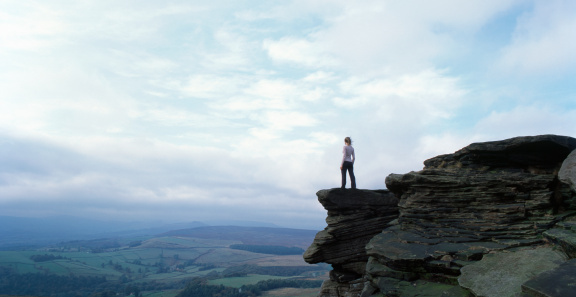 Ask God for your own “high rock”. May you find the security and peace of his protection and perspective. May your intentional time in his presence equip you with strength and faith for all that this day will require of you. We seem to have dedicated ourselves to avoiding them, often just because we don’t want to be alone with ourselves or with God. Even when we are forced to be alone, we bring our portable screens that can keep us in constant communication with our contact lists, breaking news stories, or whatever is trending on face book or google. We want to feel like we are constantly available and in the know. We turn on radios in the car and TVs at home to “keep us company”. We listen to whatever will entertain us or keep us from thinking too deeply. Do you fear quiet and solitude or do you seek them? When is the last time you were comfortable enough with yourself to honestly evaluate your choices or courageous enough to dream big dreams? When is the last time you made sure your thoughts couldn’t be interrupted? When is the last time you made yourself unavailable to anyone but God? There is a story about Martin Luther that I think explains much about the strength and power of this remarkable man. He typically spent the first 3 hours of his day in prayer. His assistant chided him one morning to skip his prayer time and dive right in to his tasks for the day because they were so important. Martin Luther explained that the significance of his day required that alone time in prayer. That time with God gave him the perspective and wisdom he needed for what should be done. If the only communication I have with someone is a quick text or occasional tweet, we don’t have much of a relationship. If I am trying to have personal conversation with someone who is constantly returning a text or taking another phone call or ignoring me to talk to someone else, it becomes very clear that I am not valued by that person. How often do we treat God like that? How often do we ask God for direction but miss his answer in our busyness? What would happen if we listened to God more than we talked? What would he say if we put ourselves in a solitary place with no distractions and dedicated that time to hearing from him? Mark 1:35 Very early in the morning, while it was still dark, Jesus got up, left the house and went off to a solitary place, where he prayed. If the Son of God himself needed that time, how much more do we? Jesus only had three years to train the disciples and prepare them to live without him. But he needed time with his Father in a solitary place in order to accomplish all he needed to do. Somehow, solitary time with God makes the rest of our day more efficient and more intentional. The older I get, the more I seem to need alone, quiet time. I can’t process the difficult or make peace with the unknown when I’m immersed in deadlines or trying to accomplish more than I have time for. I’ve found that multitasking may take me to the end of my “to do list”, but it doesn’t benefit my soul or my relationships. Mindless activity doesn’t strengthen me. My insight and my perspective, my understanding of the “big picture” and my peace with God’s power over my present and my future come only from the times when I am separated from distractions and see my life from his point of view. 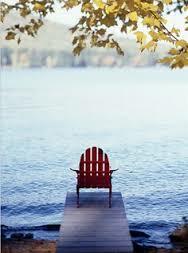 This day, may you find a solitary place where you can know and delight in the presence of God. May you see yourself as his beloved child and find rest in the knowledge that he watches over you always. What are you asking for? Our culture has become very adept at learning how to ask for what we want. Diplomacy, hostage negotiations, and compromise are all based on exacting the maximum benefit for the minimum cost. Business deals and even wish lists for Santa are meticulously designed to ask for more than we think we will get in hopes of getting as much as possible. We try to “work smart” and “put our best foot forward” to give ourselves the advantage. Sometimes we unconsciously ask for things we don’t want. My mother used to accuse us of asking for a spanking. Certain behaviors or unwise choices may mean that you are asking for trouble. What you ask for, intentionally or not, makes a difference in what you receive, especially in your relationship with God. The Bible is full of examples of people asking God for things. Moses asked to know God’s name. David asked for forgiveness. Solomon asked for wisdom. Samson asked for one last chance. Hannah asked for a baby. Esther asked for a plan. Gideon asked for reassurance. The Hebrew people asked over and over for deliverance from the consequences of their disobedience. The disciples asked Jesus to teach them how to pray. I have just finished a wonderful book by Mark Batterson called The Circle Maker. God used this book to convict my heart that what I ask for in my prayers is too generic and vague. Maybe my prayers are too small because I don’t want to commit my dream to God…I don’t want to bother him, I don’t want to put identifiable boundaries on it that will actually show progress, or I might be disappointed when his answer is not what I wanted. My prayers are often too small because I’m afraid that a radical faith will give God free reign in my life. When I can mark off a place, an issue, a goal a person, or a dream and let my complete honesty precede my complete submission to God’s will, when I can absolutely share my big dreams and goals and lay them at God’s feet and honestly say to him, “Help me know what to do with these”, my vulnerability and weakness intersects with the power of the Almighty God. When our honesty with him finally lines up with his will for us, we unleash his power to put us in the position to see him at work in our lives and in our world. God is not a genie that will grant us all that we ask; he is not a fairy godfather that is dedicated to making us happy every moment of our lives. He is God. He seeks what is best for us, not our constant pleasure and entertainment. He knows the future, and he knows us. He knows our hopes and fears and dreams and our weaknesses and pain. But the most important part is that he unconditionally loves us anyway. His desire is for our good and for us to know him. Ask him for his presence; he’s promised it to you. Ask him to give you wisdom and vision for what is to come; he’s promised it to you. Ask him for the joy that he came to give you; ask him for the desires of his heart, so that you may see his power and plan. Trust the one who always hears, always sees and never gives up on you…he asked you to. God sent me a bug. I wanted to know God’s will in four specific areas of my life. I wanted clarity and understanding. I wanted a deeper prayer life. I wanted to spend my month of fasting intentionally in God’s presence…and he sent me a bug. Actually the bug had already been there about a year. We thought it was a fungus on the plants in our backyard. We sprayed for fungus and nothing happened…until God needed me to know it was a bug. I have learned that scale is a vile, pernicious, disgusting little creature. It is a parasite that actually secretes a wax coating that will protect it from pesticides. It typically attaches itself to the underside of plant leaves, and its prolific feces coats the leaves below, preventing the penetration of sunlight that will allow photosynthesis. 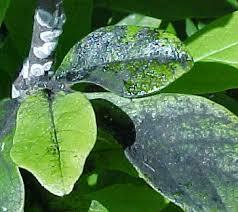 Killing the bug is not enough; the leaves have to be cleaned or the lack of photosynthesis will kill the entire plant. In order to save the plants in my yard, we have had to hand scrub every leaf with soapy water so that sunlight can get to the leaves again. I have a LOT of BIG bushes in my backyard. Multiple hours of scrubbing every day for 10 days have rescued almost half the backyard. 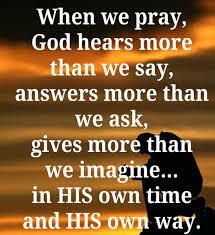 And it has given me lots of time to pray. My prayer life usually suffers from severe ADD. I have a hard time staying on topic and find it difficult to spend long spans of time in prayer. The scale bug fixed that. I wanted to know God’s will and find clarity and understanding, and God provided me long periods of time to be quiet and pray. During these 10 days God has given me some of the most beautiful weather imaginable. Because I had to reach the bottom of leaves, I was always in the shade. When I began to whine about the grossness of the scrubbing or stage my own private pity party, God frequently regained my attention with a gentle breeze or a chipmunk who was totally unafraid of me or a bird who chose to perch above me and sing. I don’t have all the answers I want, but I do have better perspective on my requests because during the last 10 days I’ve learned to see them from God’s point of view. My prayers don’t change his mind; they change my expectations. God gave me a chore and the time that would allow me to be alone and pray without distraction. I had nothing to think about except what was on my heart. Once I shared with him all that was on my heart, I have been able to truly listen for what is on his heart. Now I’m not just “hoping for the best” and ticking off topics and names on my prayer list; I ’m watching for his activity. This reminds me of the story of Jonah. God sent him a worm. God gave Jonah shade and a chance to pray, but his perspective never included God. He didn’t want God’s will; he wanted God’s obedience. His story in the Bible ends with him all alone, under a shriveled vine. God led me into his presence with a bug. What Satan intends for destruction, God can redeem for good…in the world and in my backyard. The presence of that bug led me into the presence of God. Once I’m finished scrubbing, I fully intend to NEVER deal with this bug again, but I’m so grateful for the prayerful moments and holy insight that God has given me. The first thing I saw when I entered the Holocaust Museum in Jerusalem was a quote that has haunted me ever since: “A country is not just what it does; it is also what it tolerates.” (Kurt Tucholsky) The longer I consider this, the more convinced I am that what is true for countries is also true for individuals. We are often judged by what we do. Behavior indicates priorities, but we can hide the true intent of our hearts behind proper behavior. I can do the “right” thing for a whole host of reasons, not all of them noble. Evil men can do good things. Good people are not necessarily godly people. We may tolerate what we oppose that others will eventually agree with us or just to avoid conflict, but what we tolerate also indicates our priorities. How do we as Christians draw the line between respecting those who disagree with us, and refusing to compromise on the things that should never be tolerated? When does our toleration become enabling? Jesus tolerated questions and sinners. He tolerated disciples that were slow to learn and crowds that were more interested in his miracles than his teaching. He was patient with the weakness of those who came to him for help. But he didn’t tolerate deceit in the hearts of the Pharisees. He did not condone the money changers who cheated God. He didn’t negotiate with Satan, and he never compromised his holiness in order to keep peace with the religious authorities. What we do, what we tolerate, should always reflect that fact that we belong to God. If I tolerate what dishonors God, I have broken the first commandment. God doesn’t necessarily call us to keep peace or compromise holiness; he calls us to love and obey. Sometimes that means taking a stand that is unpopular. We are defined by what we do and what we tolerate. May both define you as a beloved child of God.